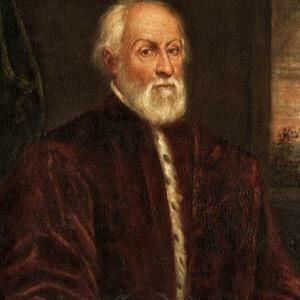 Rafael Bombelli, the mathematician regarded as the inventor of complex numbers, was baptised and was also probably born on this day in 1526 near Bologna. He wrote a book about algebra in simple language that could be understood by everyone, giving a comprehensive account of what was known about the subject at the time. The first three volumes, published in 1572, were the first European texts to explain how to perform computations with negative numbers. 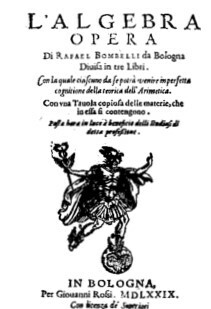 Rafael Bombelli was the eldest son of Antonio Mazzoli, a wool merchant, who had changed his name to Bombelli to disassociate himself from the reputation of his family. His grandfather had taken part in a failed attempt to seize Bologna on behalf of the Bentivoglio family but had been caught and executed. Antonio Mazzoli was able to return to Bologna only after changing his name to Bombelli. It is thought that Rafael Bombelli did not attend university but was taught by an engineer-architect named Pier Francesco Clementi. He followed Clementi into the profession and acquired a patron, Alessandro Rufini. His patron was given the right to reclaim marsh land in the Val di Chiana by the Pope and Bombelli worked on this project until 1555 when there was an interruption to the reclamation work. 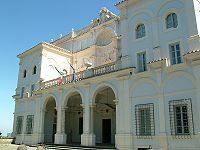 While he was waiting for the project to start again he decided to write an algebra book, while living in the comfortable surroundings of his patron’s villa just outside Rome in Frascati. He felt that the reason for arguments between mathematicians was the lack of a careful exposition of the subject. The only books about algebra were not accessible to people without a thorough grasp of mathematics and he deliberately used simple language to make the book available to people who had not received higher education. He died in Rome in 1572, soon after the first three volumes of the book were published. The unfinished manuscript of the other two volumes was discovered in a library in Bologna in 1923 and published in 1929. Despite the delay in publication, Bombelli’s Algebra was a very influential work and was praised by later mathematicians because his analysis of the subject showed him to be far ahead of his time. A crater on the moon has been named the Bombelli crater in honour of him. 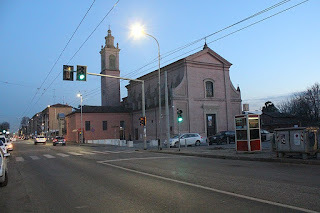 Bombelli’s family lived in Borgo Panigale, a small town to the north of Bologna, which was annexed to the city by the Fascist government in 1937. It is now home to Bologna’s Guglielmo Marconi airport and the motorbike manufacturer Ducati. The Bologna artist Elisabetta Sirani painted an altarpiece for the parish church of Borgo Panigale. It is thought the name stems in part from the land around the site of the town, which was formerly used for the cultivation of the foxtail millet cereal called panìco in Italian. The Villa Falconieri in Frascati, to the south of Rome, was originally called Villa Rufina, having been built for Alessandro Rufini in 1546. It was while staying in this villa that Bombelli wrote his famous work on Algebra, which he dedicated to his patron, Rufini. The villa, which was renovated by the leading Roman Baroque architect Francesco Borromini after it was sold in 1628, houses many beautiful frescoes and is surrounded by splendid Italian gardens with a small lake bordered by cypresses. Now the headquarters of the Vivarium Novum Latin and Humanities Academy, it is open to the public from 10am to 1pm each Sunday.